There’s been plenty to tweet about lately regarding recruitment and retention in the fire service. Some of the info shared is good news and some is bad news, regardless, it all contains lessons we can learn from. Sometimes there’s so much activity and so much being shared, that it’s tough for even someone as “connected” as I am to keep up with. 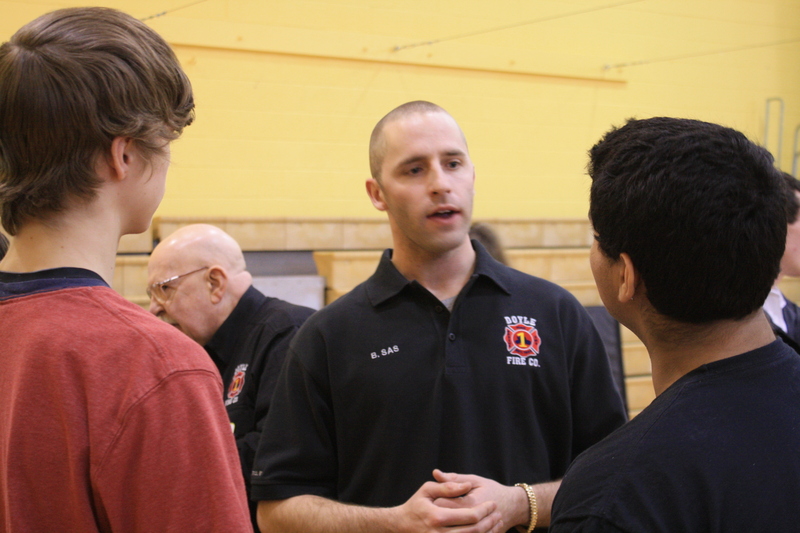 With many fire prevention activities wrapping up for the month of October, many fire departments took advantage of the added exposure to share and maximize their volunteering, public education and public relations opportunities; including the Burlington Township Volunteer Fire Department which the FireRECRUITER has been working with for the past six months. The featured photo shows off the new banners they’ve created for their successful pub ed efforts — which are smartly and directly linked to their recruitment efforts. Some of my Tweets are original finds I stumble upon while others are retweets of others’ discoveries. Nonttheless, in case you missed them, here are some of the highlights of recent tweets with plenty of examples of what does and doesn’t work in in recruiting, motivating, leading, training and retaining today’s firefighters. Follow the links for great reads, resources, tips and tricks. So I guess the moral of the story here is, if you’re subscribed to www.FireRECRUITER.com and just wait to receive our posts via email — or you just visit us when you can and you don’t also follow the @FireRECRUITER on Twitter — you should! There’s a lot going on daily in the world of firefighter recruitment and retention that we try to bring to you via this site, at www.facebook.com/FireRECRUITER, and @FireRECRUITER allows us to do that on the fly. Previous: We’ve been waiting for you!